This restaurant has the word meat in its name for a reason. It’s pretty much a celebration of all things meat, so you know you’ll find a good steak here. 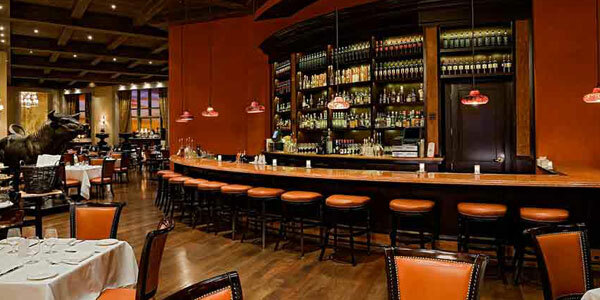 They’ve got everything from skirt steak and flat iron steak to chateaubriand and bone-in strip loin. This is also one of the few restaurants in the country certified to buy and serve authentic Kobe beef from the Hyogo Prefecture in Japan. Celebrity chef Gordon Ramsay serves traditional steakhouse fare at his restaurant at Paris. The prime beef is hand selected by legendary New York butcher Pat LaFrieda and aged for 28 days in a Himalayan salt room. A rolling steak cart will be brought to your table so you can choose your cut of beef. It’s showcased with mirrors so that you can see the marbling around the entire piece of meat. 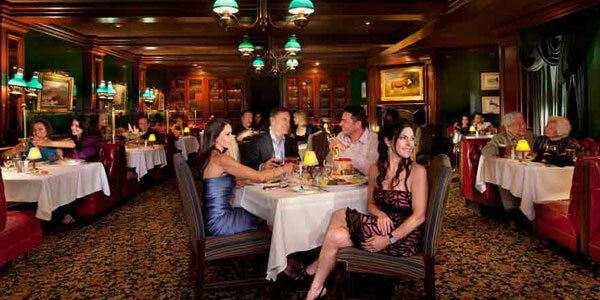 Choices include bone-in New York strip, porterhouse for two, Japanese A5 Kobe and much more. Don’t miss Ramsay’s signature roasted beef Wellington served with glazed root vegetables, potato puree and red wine demi glace. Top your steak with béarnaise, peppercorn, bone marrow and café de Paris butter. 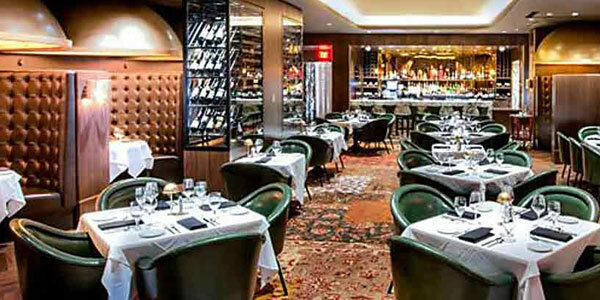 This famous New York restaurant features choice cuts of beef with classic sides and appetizers at its Vegas location. Steaks here are hand selected from Pat LaFrieda and are USDA prime and dry aged for a minimum of 30 days. The restaurant’s signature is a 16-ounce filet mignon on the bone. Other options include a 38-ounce “lollipop” prime ribeye for two cooked and served on the bone, a 34-ounce porterhouse and a smaller 8-ounce filet mignon. Extras like sauces, pan seared foie gras and truffle butter can be added. If you’re more in the mood for a burger Old Homstead has an amazing one. It features 10 ounces of dry-aged Pat LaFrieda beef seared in an 800-degree, 50-year-old cast iron pan. The burger is situated between a brioche bun, along with Tillamook aged cheddar cheese, caramelized onions and mustard aioli. 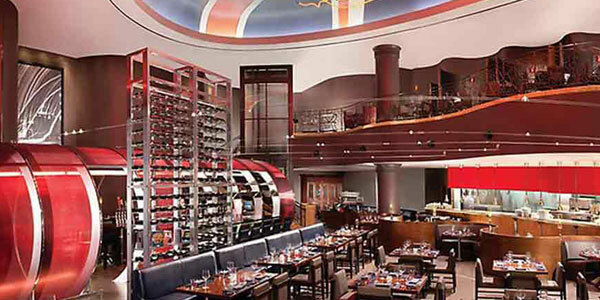 The Steakhouse at Circus Circus is an old school Vegas institution that has served its steak for more than 30 years. The steak is cooked on a charcoal grill, giving it a tasty flavor you won’t find at too many other places. You’ll find great service, quality and value. Meals come with a choice of potato, soup or salad and fresh vegetable. 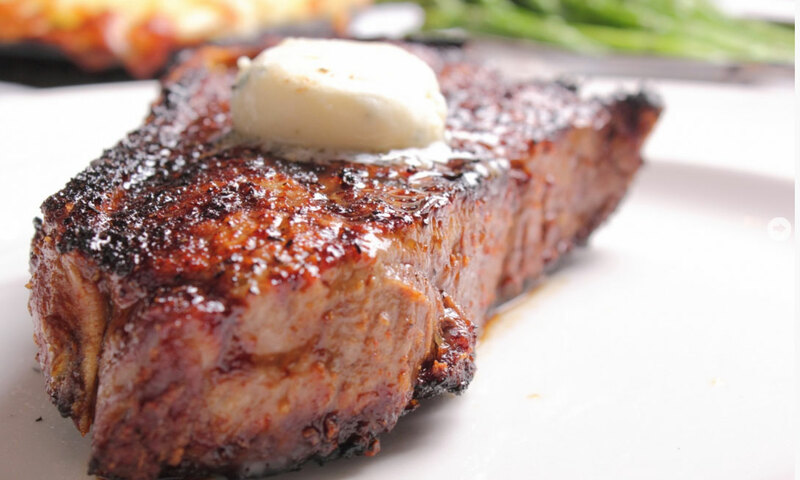 Steaks are quality Midwestern beef aged 21 days in a glass-enclosed aging room. Choices include New York strip, porterhouse, prime rib and filet mignon. Golden Steer, 308 W. Sahara Ave. This classic steakhouse has been in business in Las Vegas since 1958 and some staff members have been with the restaurant for more than 40 years. Members of the Rat Pack were regular customers and other famous guests have included Elvis Presley, Joe DiMaggio, Tony Spilotro and more. The beef is USDA Prime aged and corn-fed. Options include bone-in ribeye, top sirloin, New York strip, prime rib and chateaubriand for two. Complete your meal with sides like Lyonnaise potatoes, twice baked potatoes, wild rice, creamed corn and fresh asparagus with Hollandaise sauce. 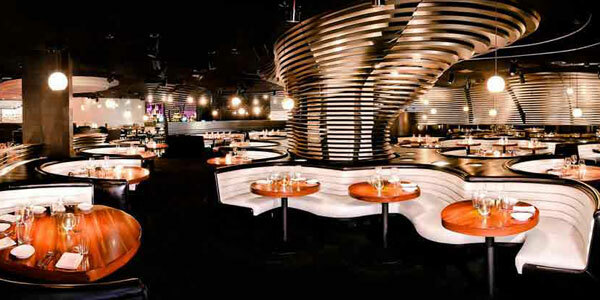 This popular restaurant combines a nightclub vibe with creative steakhouse fare. Steak choices include skirt steak, filet medallions, cowboy rib steak, Wagyu selections and more. Toppings include foie gras, jalapeno onions, bacon butter and truffle butter. Accompany your steak with sides like cauliflower gratin, mushroom pot pie, jalapeno grits and Parmesan truffle fries. 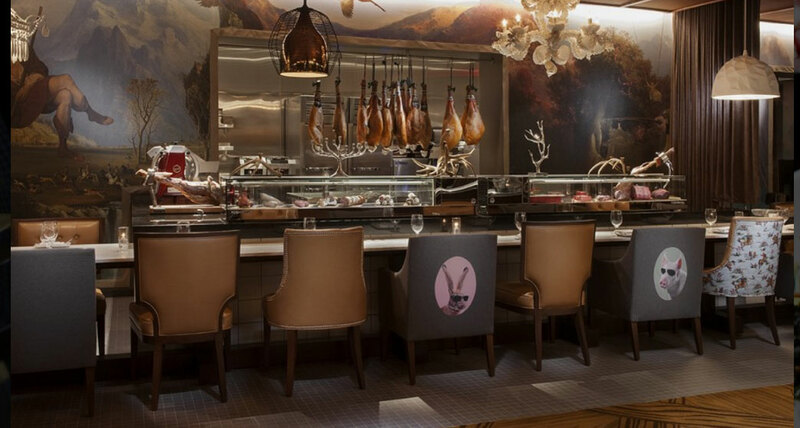 Celebrity chef Mario Batali and winemaker Joe Bastianich team up to serve house-aged beef to perfection at this Italian steakhouse. The beef is all natural and hormone and antibiotic-free. It’s rubbed with sea salt, black pepper and fresh rosemary and served with a slightly charred crust. Cuts include dry-aged bone-in ribeye, Florentine porterhouse, filet mignon, grilled hanger steak and more. Not only can you get a great steak at Carnevino, you can also enjoy Batali’s mouthwatering pastas. If you want to try a little of everything you can also do a beef tasting for $150 per person (requires participation of the whole table). The tasting includes things like steak tartare, dry-aged ribeye, tagliatelle Bolognese, dessert and more. Chef Emeril Lagasse takes steak and kicks it up a notch with Creole flair. 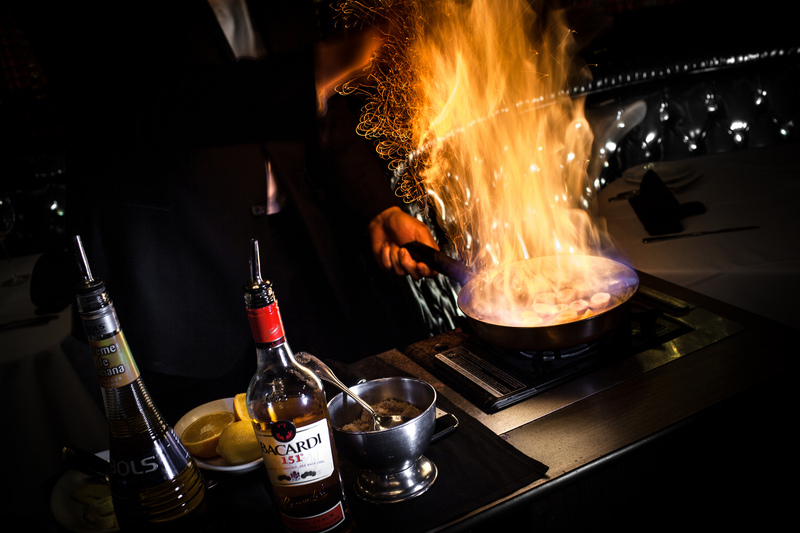 Start with a seafood tower, Gulf shrimp cocktail or ahi tuna and then move on to the Creole-seasoned steaks, which are hand-cut, charbroiled and served with Maitre d’Hotel butter. Cuts include bone-in ribeye, chateaubriand carved tableside for two, bone-in New York strip and 100 percent A-4 Japanese Wagyu beef. Pair the steak with smashed potatoes, baked grits with cheese and bacon, steak fries and veggies. Be sure to stick around for dessert and get Emeril’s famous banana cream pie or a Louisiana root beer float. 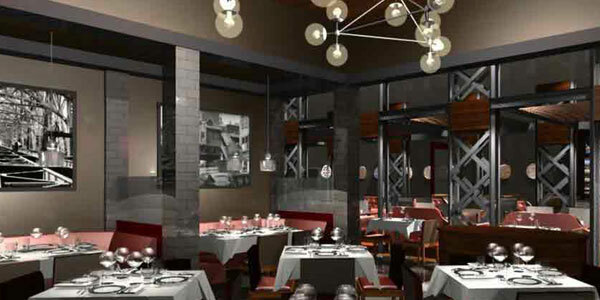 James Beard Award-winning chef Tom Colicchio serves grain and grass-fed prime beef at Craftsteak. Meat options include 24-hour braised short rib, grilled New York strip, grilled flat iron steak, roasted porterhouse for two, filet mignon and more. There are also domestic Wagyu and A5 wagyu options from Japan. Get your steak served Oscar-style or topped with lobster or scallops. Side dishes include butternut squash with bourbon maple glaze, creamed rainbow chard, heirloom cauliflower and Maui onions. 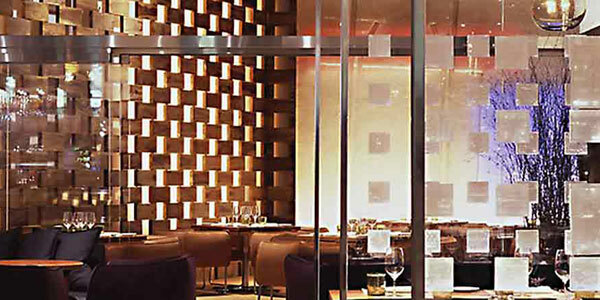 Celebrity chef Wolfgang Puck’s CUT is a classic steakhouse featuring USDA Prime Nebraska corn-fed, 35-day dry-aged steaks and Japanese Wagyu beef. The steaks are grilled over hard wood and charcoal and then finished under a 1,200-degree broiler. Cuts include a 34-ounce porterhouse for two, New York sirloin, bone-in ribeye, filet mignon and more. Choose from a variety of signature house made sauces like cognac and whole grain mustard, Argentinean chimichurri and creamy horseradish to top your meat. You can also add things like caramelized onions, wild field mushrooms and Point Reyes blue cheese to your steaks. 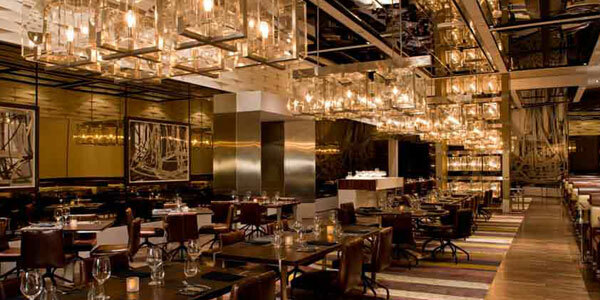 Chef Michael Mina offers modern steakhouse fare at Stripsteak. If you’re looking for beef, the 12-foot wood-burning grills can sear your steak to perfection, using different types of wood that create a unique, charred crust. Six circulation machines allow chefs to utilize low cooking temperatures for slow poaching. This allows dishes to cook in oils, butter and juices for eight hours, infusing the meat with flavor and tenderness before it is finished in the wood-burning oven. Steaks include bone-in ribeye, prime flat iron and filet mignon. Wagyu beef selections include Mishima reserve ribeye, Japanese A5 Wagyu and a 40-ounce Australian Tomahawk. Top your steak with grilled foie gras, Maytag blue cheese, Alba white truffle, a half lobster tail and more. This steakhouse is a bit of a hidden gem tucked into a corner of the second floor of The D. The entrance is a charming brick-lined hallway that leads into a warm room decorated with dark woods and romantic semi-private leather booths. The Pat LaFrieda and Stockyard Premium beef is aged a minimum of 30 days and is all-natural, free-raised and hormone-free. A variety of cuts are available including melt-in-your-mouth filet mignon, a 24-ounce porterhouse and the 32-ounce Andiamo Tomahawk. Steaks and chops come with choice of sauces like Andiamo’s signature Zip Sauce, a Cabernet shallot demi-glace and more. 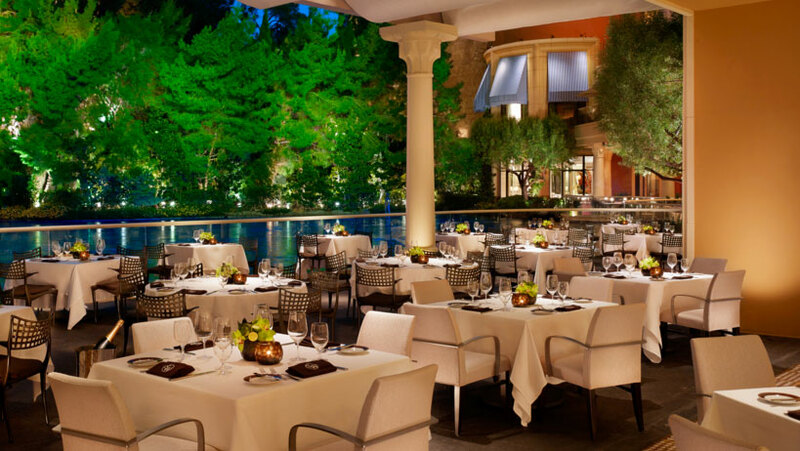 SW Steakhouse’s large patio directly on the Lake of Dreams at Wynn offers prime seating for guests to watch the water shows. 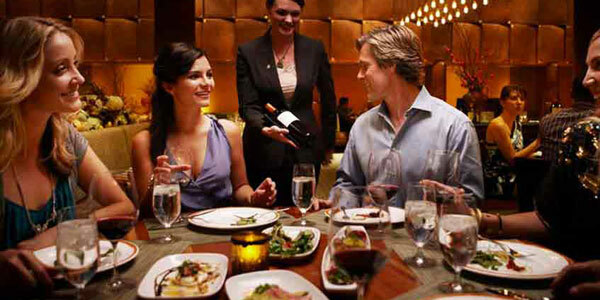 But besides the view and the elegant dining room, SW Steakhouse delivers amazing cuisine. You’ll find Japanese A5 Wagyu with a marble score between 8 – 10, as well as domestic Wagyu from Snake River Farms. The charred prime cut aged steaks are from Midwestern ranchers and include cuts like boneless ribeye, grass fed strip, filet mignon and a 32-ounce dry-aged Tomahawk chop. Extras like Maine lobster tail and Hudson Valley foie gras can be added. Sides include black truffle creamed corn, Parmesan crusted spinach and poblano and smoked bacon mac & cheese.